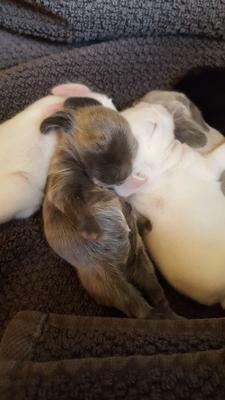 I had a litter of bunnies and i used my new buck and got some colors ive never had before. Im not sure if they are sable points or pointed white, or siamese sable, or none of the above lol. Can someone help me? Comments for what color is my bunny? Try this Web site. I keep it on my desktop so I can look up colors. I have a sable dwarf and this little beauty looks just like My Periwinkle.